Auto Transportation Companies offer different services. 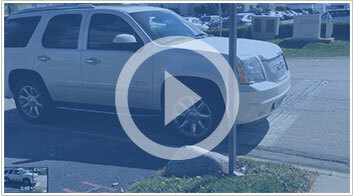 Over the past few years there is a growing demand for Door to Door Service. This service is very easy to understand and extremely convenient for people looking to ship their vehicles nationwide. Door to Door service is one of the most popular services offered by Van 3 Auto Transport. This service offers clients the convenience of having their vehicle picked up as close as legally possible to their residence. This saves them time because they do not have to drive to a terminal and drop off their vehicle as well as money due to the fact they will not have to use the service of a taxi. All truck drivers do their best to pick up the vehicles of our clients as close to their house as possible. When a street is too small, or threes do not permit for a truck to go to their house often drivers make arrangements with clients to pick up their vehicles as close as possible. In many cities 18 wheelers are prohibited from entering certain areas therefore truck drivers avoid breaking the law. Door to Door Service is available for all kinds of vehicles including trucks, SUVs, and even motorcycles. Van 3 Auto Transport is proud to offer its customers Door to Door Service. We do our best to meet the needs of all of our clients and we know how important it is for our clients to have their vehicles picked up when it is convenient for them. We know that everyone is extremely busy therefore we do our best to make car transport as affordable, simple and quick. This entry was written by admin, posted on Monday, September 9, 2013 Bookmark the permalink.